How to grow vegetables in a box! A cat litter pail makes for a great planter. 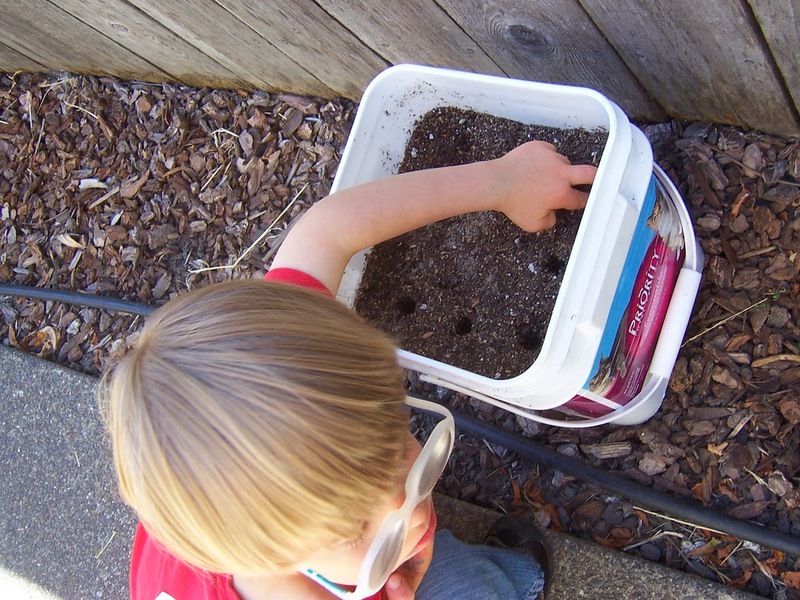 My son and I are going to plant carrot seeds in one--which I washed out and filled with soil and sand (carrots like to grow in partial sand). I also drilled a few holes in the bottom, and placed in a layer of wood chips. 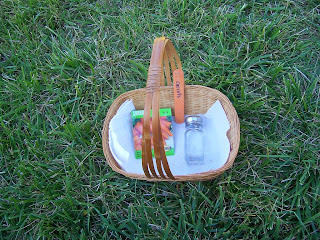 We use a basket (that is lined with a towel) and contains our packet of seeds--carrots, a salt shaker, and a Popsicle stick with the date of planting and the date of maturation (when to pick), as well as the name "carrot". 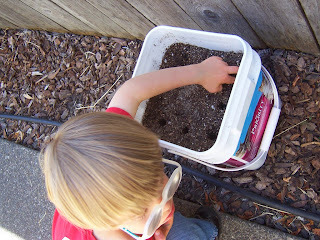 First, my son helps me make holes for the carrot seeds, about an inch apart. He's very focused on his task! 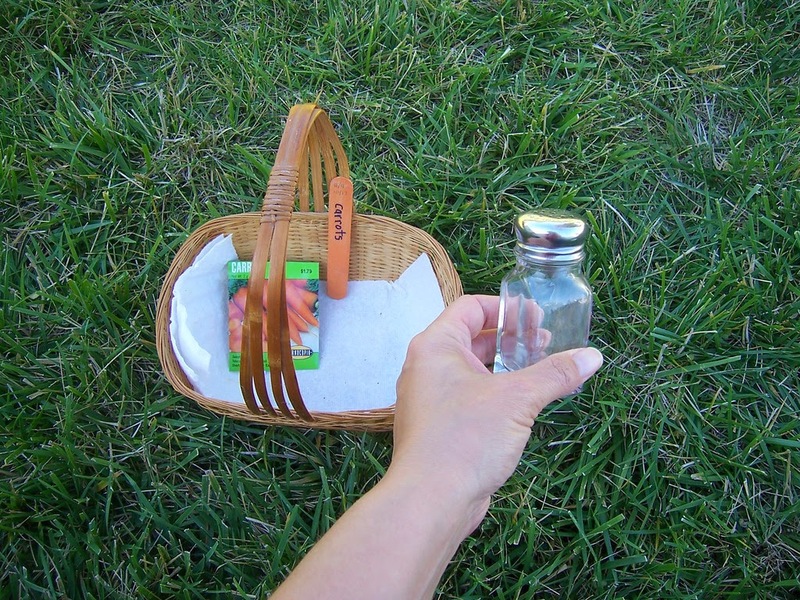 The salt shaker will hold some carrot seeds. I will open the top, then shake a few seeds in my son's hand, and mine, for planting. I do this so we don't risk spilling all the seeds from the packet on the ground. 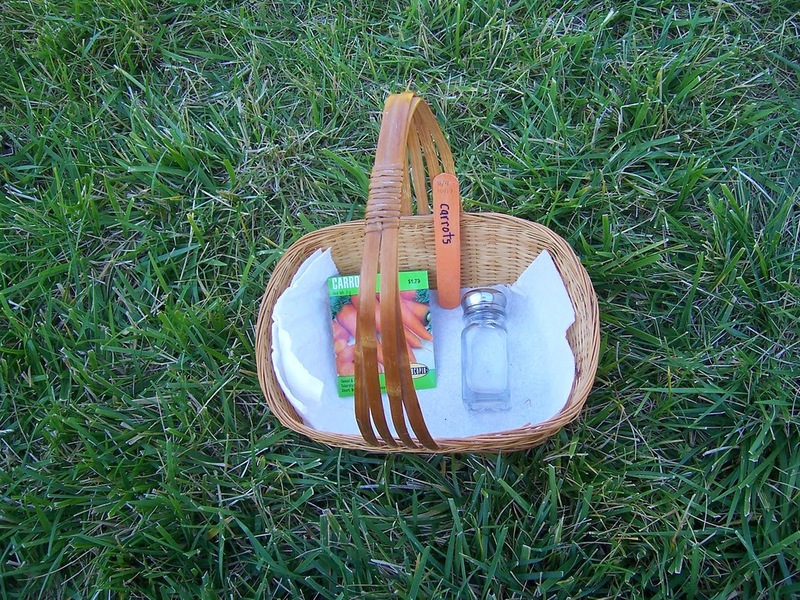 And a salt shaker is easier to manage! "First it's mommy's turn!" I show my son how to plant the seeds by first sprinkling a few in my palm (with the salt shaker). Now I sprinkle the seeds in a hole...And lastly I cover the seeds. "Now it's your turn!" 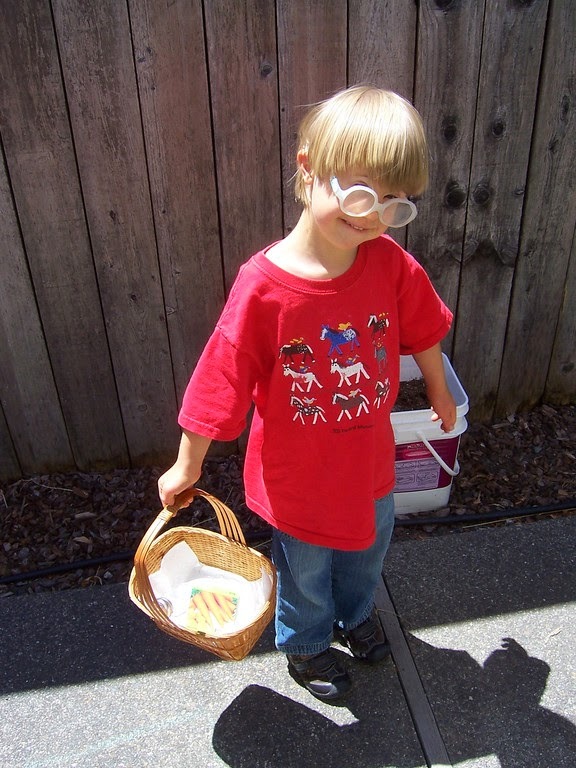 I sprinkled some carrot seeds (from the salt shaker) into my son's palm. He plants them and pats the soil. 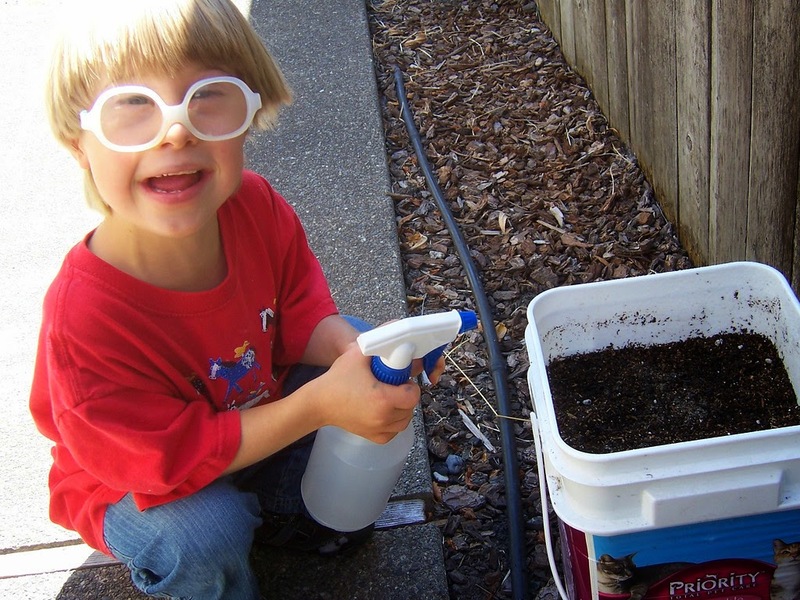 "Now it's time to water our seeds!" We use a spray bottle, which is easy for my son to manage. "Ta da!" We are done! We will plant one box per week over a four-to-six-week period. (And I'm cutting off the cat litter labels!) We won't poke in the Popsicle sticks until the plants germinate so as to not disturb the seeds. Lots more pics in my online photo gallery!